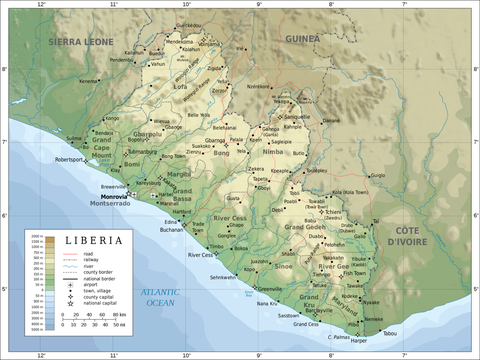 Liberia is located in West Africa, bordering the North Atlantic Ocean, Ivory Coast, Guinea and Sierra Leone. 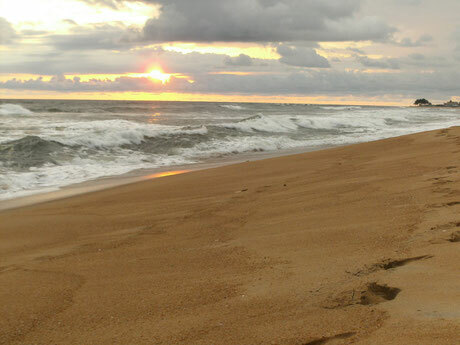 With a territorial area of 111,369 sqkm and a tropical climate, Liberia has an annual average rainfall of 432 cm making it one of the wettest countries in the world. The population of Liberia is 3.5 million, of which 1.8 million are children. Besides English, the official language, approximately 20 ethnic dialects are spoken. The country was hit by a brutal civil war in the 1990s and most recently the Ebola epidemic. The effects of the war are visible throughout the country, including high illiteracy rate and a lack of basic social infrastructures. The conflict killed approximately 250,000 people. As many of the victims of the civil war were skilled workers, there is now a lack of them in order to build up basic infrastructure and an operating public service. Education in Liberia is severely affected by the First Liberian Civil War and Second Liberian Civil War, that took place between 1989 and 2003. In 2010, the literacy rate of Liberia was estimated at 60.8% (64.8% for males and 56.8% for females). The country's education sector is hampered by inadequate schools and supplies, as well as a lack of qualified teachers. Higher education is provided by few public and private universities. However, these were also severely affected during the brutal civil war. The institutions lack essential teaching and learning materials. 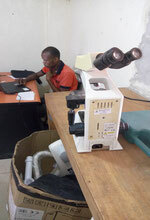 The libraries are not equipped with books and other essentials (computer laboratories are not available for students in these schools). Considerable efforts have been made by the government and other humanitarian organizations to help the country recover from its 14 years civil crisis. However, there is still an urgent need to address the country’s poor educational system. It is against this background that the Helping Hands Network was established as a professional nonprofit organization to help improving the educational sector of the country. At the same time, we network (share our ideas or projects) with friends, organizations and institutions in order to get their support for implementing our imparted oriented programs. We use the ‘serving the servants’ approach in the delivery of essential educational and empowerment services to targeted communities. Having worked with displaced people (mainly Liberian Refugees in Buduburam Refugee Camp in Ghana), between 2008 and 2011 it was possible to identify the educational needs of vulnerable people. Our commitment is rooted in the belief that quality learning for all children and young adults is the path to development, peace and prosperity for Liberia. Children deserve an education that offers not only knowledge but also skills and an understanding of how to promote peace and be a global citizen. To ensure this, qualified teachers and essential teaching and learning materials must be provided.